The sun rises and sets, people die and are born, and a grudge grudges between Russell Westbrook and Patrick Beverley. The years-long feud flared up again last night during the Thunders’ 128-110 win over the Clippers, with Westbrook whipping out the “rocking a baby” celebration after scoring on Beverley, Beverley diving at Westbrook’s knees while going for a loose ball, earning him a flagrant 1, and both of them yelling at each other and ending up with technicals. This play also earned Beverley a flagrant 1, which he later said he didn’t deserve. 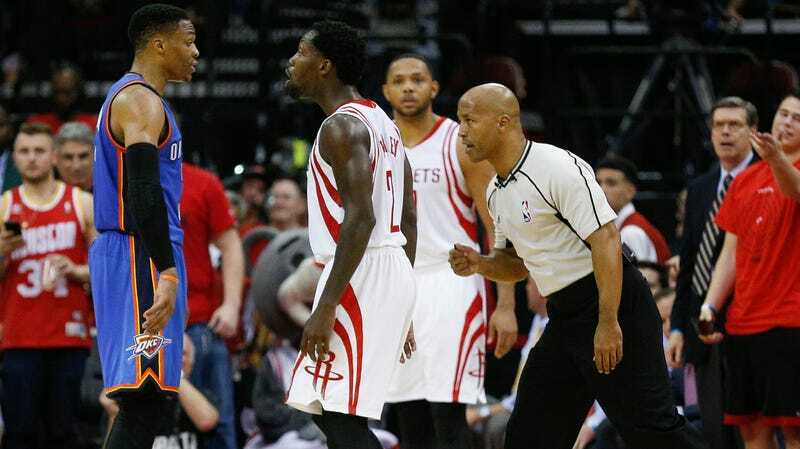 The fact that the Russell Westbrook-Patrick Beverley feud is still a thing, five years after Beverley injured Westbrook’s knee in the playoffs, is a testament to both players’ impressive commitment to beef.